THINGS TO DO IN CHIVAY, PERU: FRIENDLY GATEWAY TO COLCA CANYON WITH RESORT HOTELS AND SPAS. One usually descends into the Colca Valley, coming from the three-way junction at Patahuasi (4,550m) in the Salinas & Aguadas Blancas National Reservation where the roads splits to Chivay, Arequipa and Puno. Coming from the highlands, the road switchbacks down to an elevation of 3,650m in Chivay, Peru. Chivay, Peru is a cute unpretentious village where most people spend the night before visiting Colca Canyon the next day. 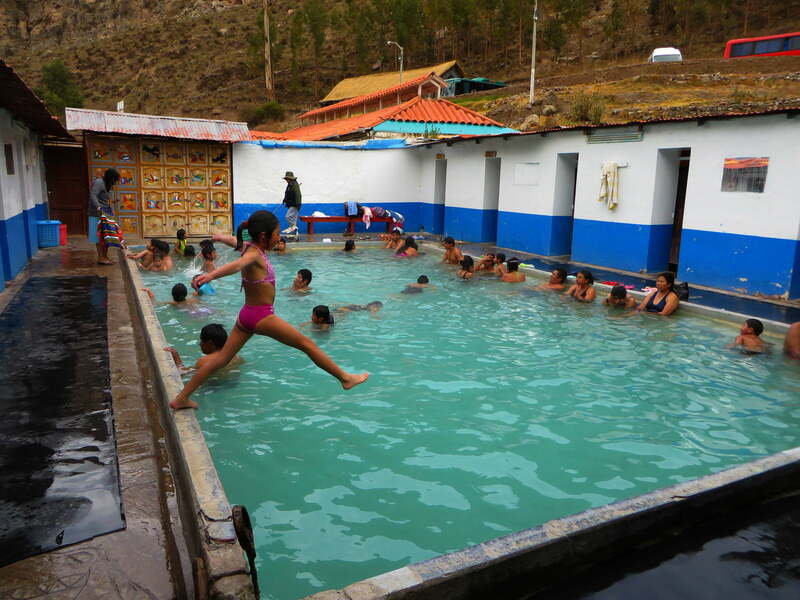 As the only diversion in the village are the hot baths, quite a few people like to go there to have a massage aftwards in one of the modest massage parlors in the village or - if present - in the hotel. 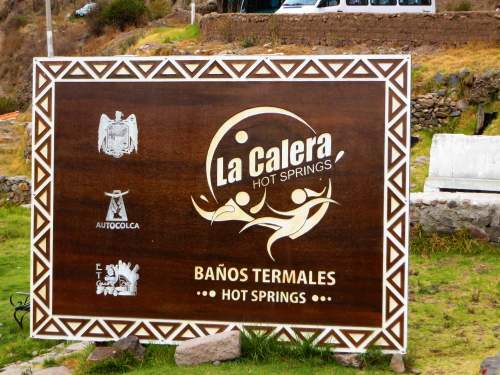 The Calera hot baths along the Colca River are about 3 km north from the center and taxis or mototaxis (tuktuk) take you there for a few soles. Of some interest is the "Inca Bridge" across the Colca River upper canyon, north of the village. 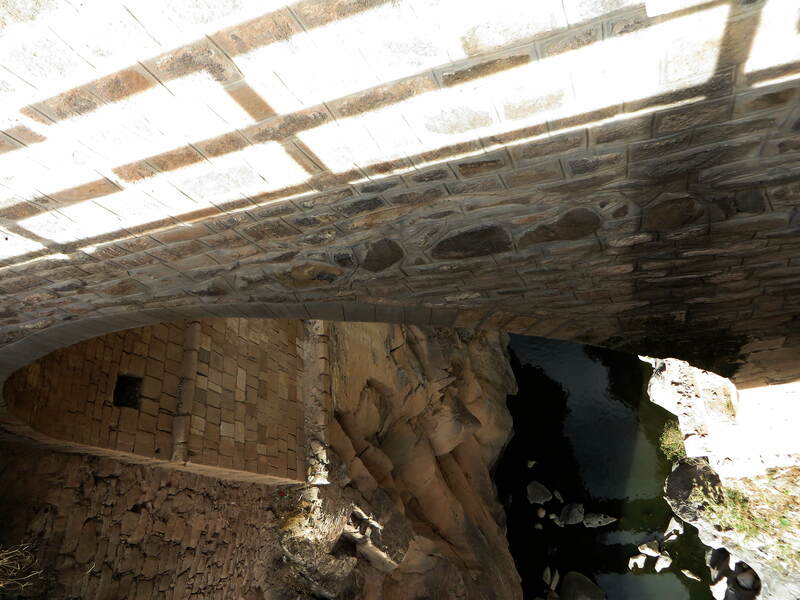 just to the north of the town. 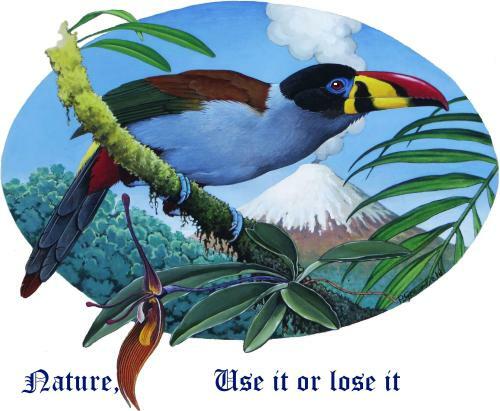 In the market one can buy indian craft, although the selection of quality products are usually rather limited. 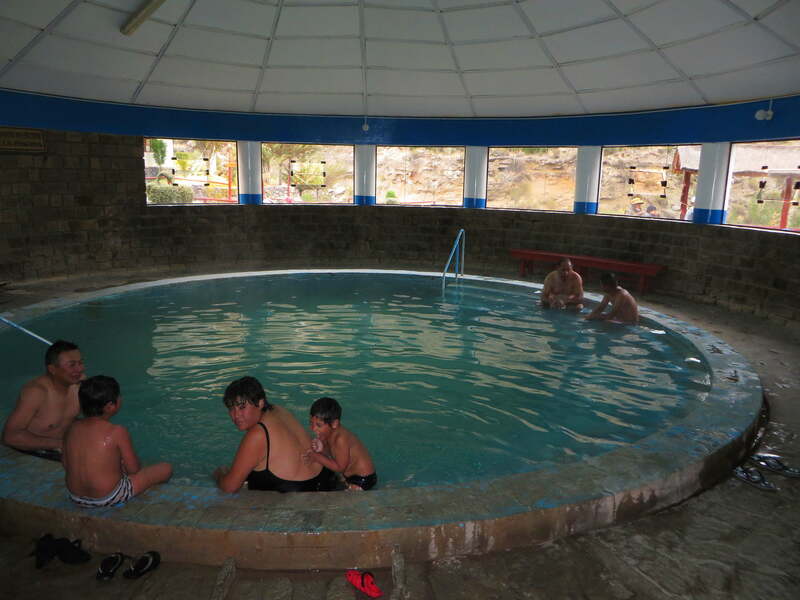 Most hotels are extremely rustic, although a few expensive lodges are available in the town proper or in neighbouring villages. 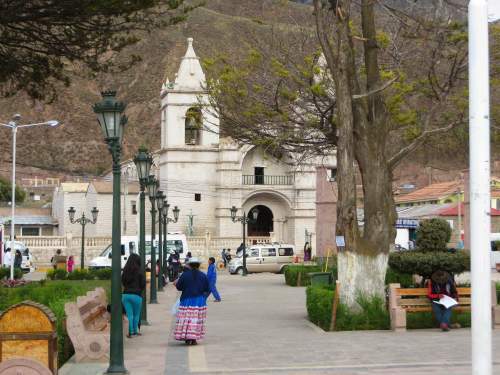 For most, a brief stroll along the town's main tourist street, the Plaza de las Armas, soaking in the hot springs and going to bed early is a typical day before taking off for the Colca Canyon the next day. 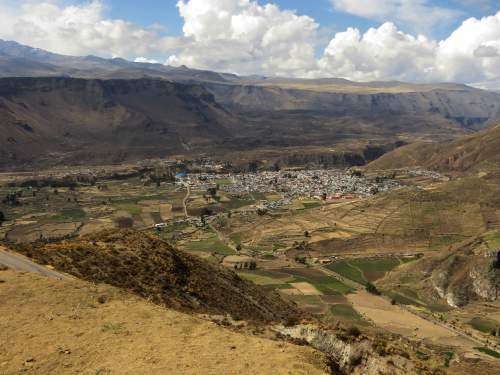 When travelling from Puno or Arequipa to Chivay, one winds down a steep mountain road into the Colca valley; several overlooks give a beautiful view of the village. 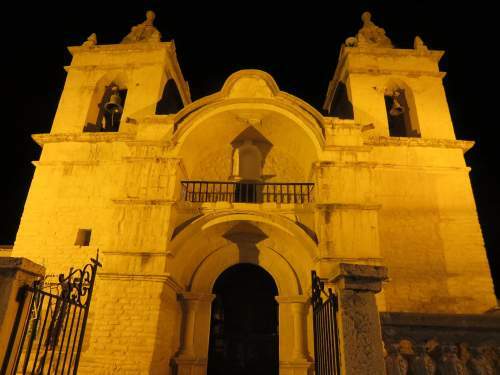 The Chivay Plaza de las Armas is dominated by the Chivay church, which is nice to visit both in daytime and at night when it is nicely illuminated. 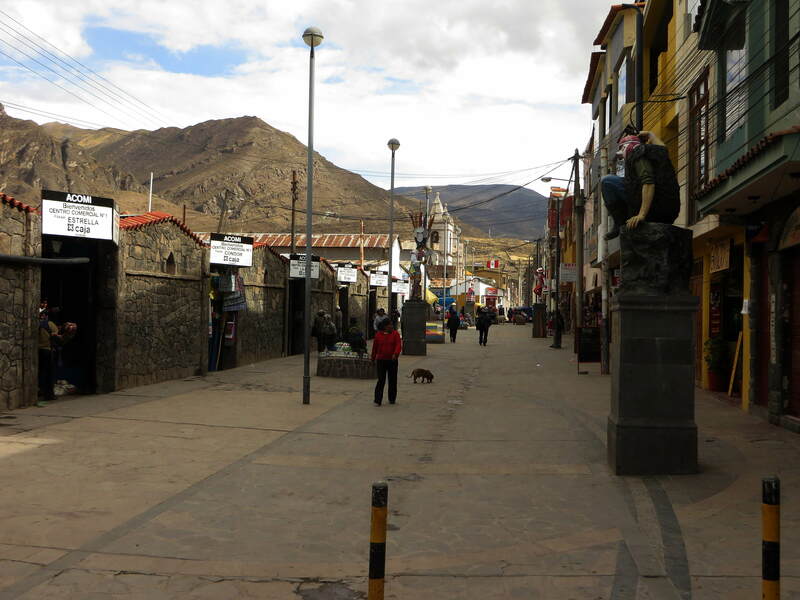 The main street is a pedestrian street with a number of rustic hotels and restaurants, that leads one to the Inca Bridge. Though not cheaper, these mototaxis or tuktuks or rickshaws are fun to ride and can be found everywhere in the village. 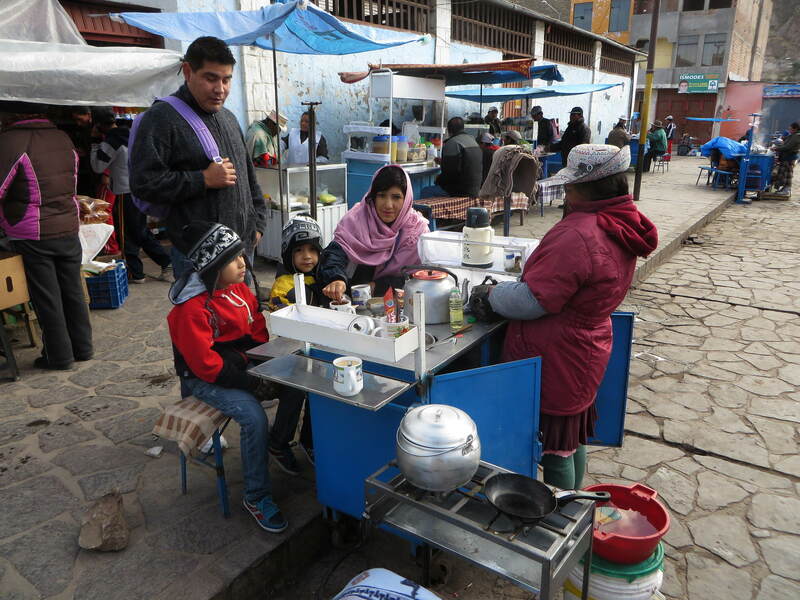 Few of the hotels serve any breakfast at all, or only later in the morning. So if one wants to leave early for the canyon, the only option is to buy for a few soles fresh bread (quite nice actually) with some eggs and Nescafe in hot milk. 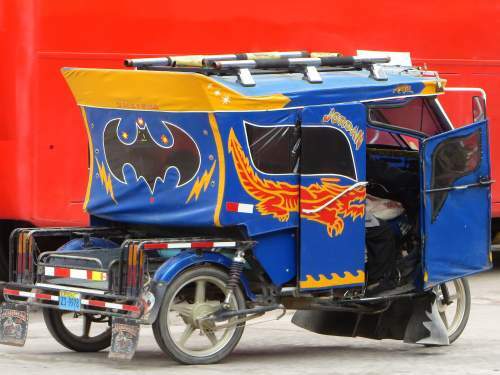 Oh well, it is better than leaving on an empty stomach. 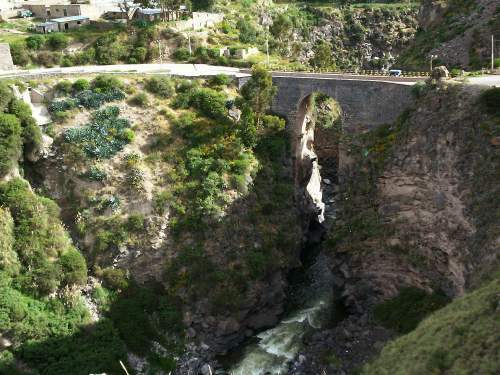 Called the "Inca Bridge" across the upper Colca Canyon, where depths are very moderate, this bridge shows no sign of previous Inca construction, but it is a nice stone bridge that one can walk down to from the village, just a few minutes down from the main tourist street. 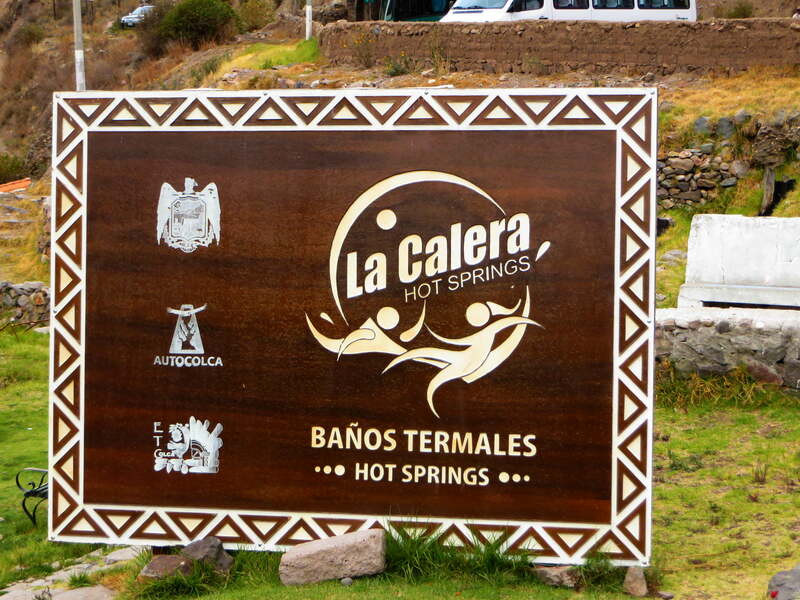 With different pools at different temperatures, La Calera Hot Springs, 3km outside Chivay. 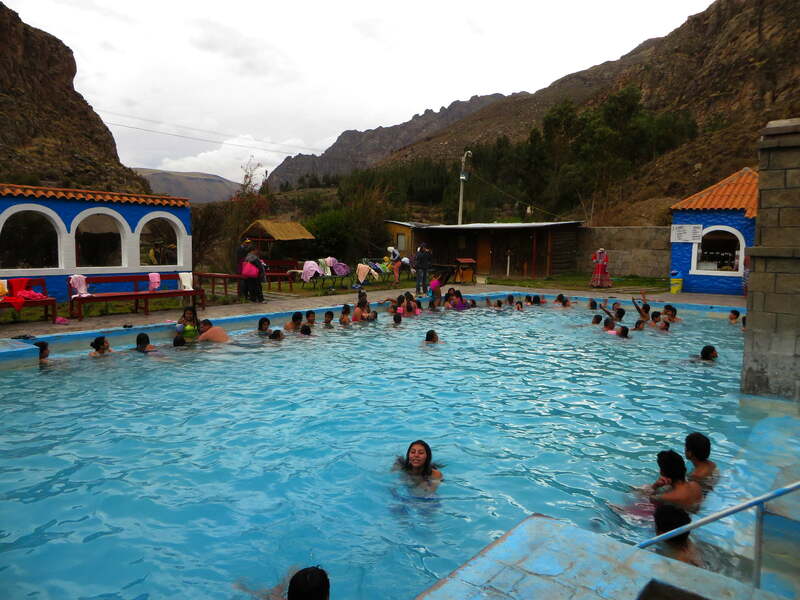 Peru are beautifully located along the Colca River.